Albert Hall, 23 November 1944, celebrating American Thanksgiving Day. 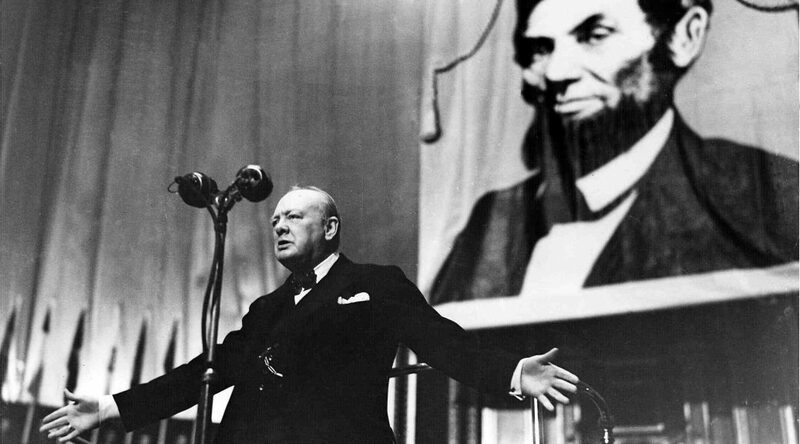 The ques­tion aris­es: Was Churchill, on one of his vis­its to the White House, spooked by the ghost of Abra­ham Lin­coln? 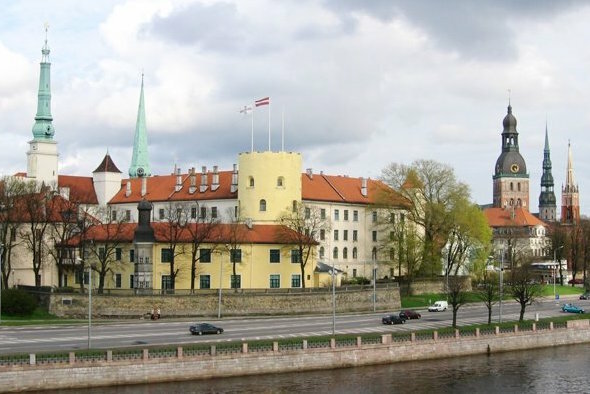 EXCERPT ONLY: For the com­plete text of “Churchill and the Baltic” with end­notes, please go to this page on the Hills­dale Col­lege Churchill Project. Sovi­et Ambas­sador Ivan Maisky was a “Bollinger Bol­she­vik” who mixed sup­port for Com­mu­nism with a love of West­ern lux­u­ry. Friend­ly to Churchill, he knew the Eng­lish­man hoped to sep­a­rate Hitler and Stal­in, even after World War II had start­ed. 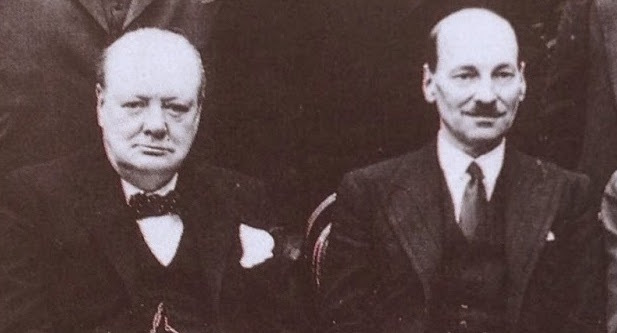 My col­league Richard Cohen com­mends a eulo­gy to Churchill by the great Labour Par­ty leader Clement Attlee. It occurred in the House of Lords on 25 Jan­u­ary 1965, the day after Sir Win­ston died. It is notable for its fine words. More­over, it shows how their rela­tion­ship as col­leagues eclipsed that of polit­i­cal oppo­nents. At a time of great­ly strained rela­tions between the par­ties, on both sides of the pond, this is a thought­ful reminder that things could be dif­fer­ent.